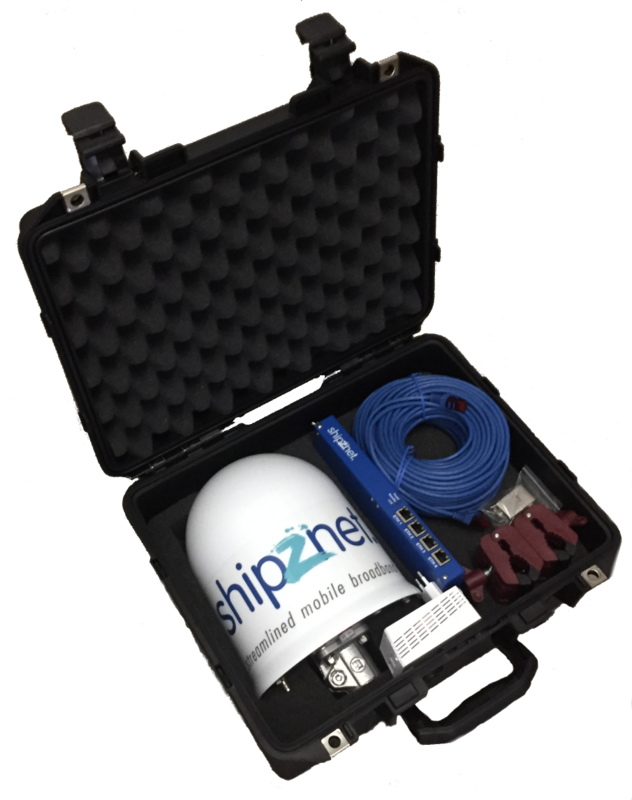 Based on shipznet, the first, completely new high-speed mobile broadband service for vessels, the RG 300 remote guidance system offers best in class mobile network coverage combined with power line communication adapters and cables. This system enables service staff to operate far inside the ship while being connected to remote experts and engineers on shore. 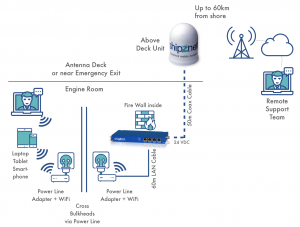 Smart combination of shipznet mobile network router and power line adapters let service people quickly work together with remote support even in isolated areas. 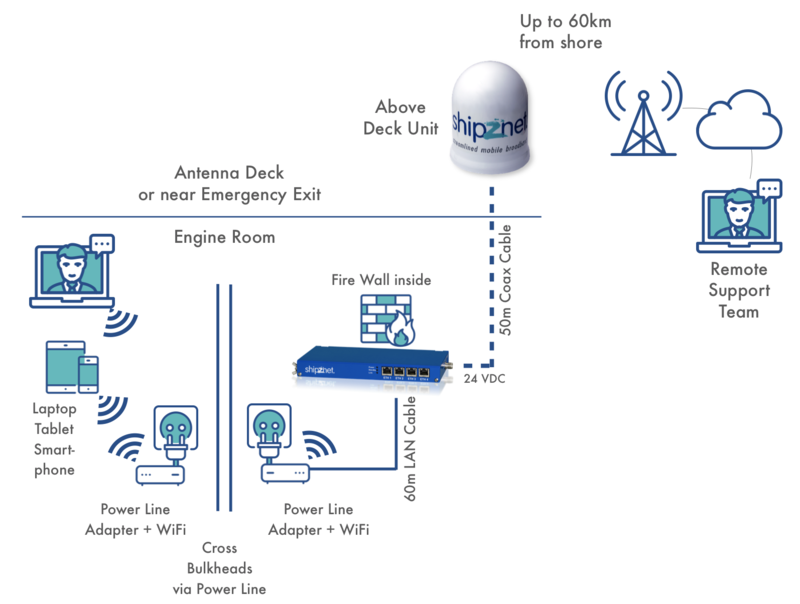 shipznet RG 300 provides intelligent components which are easy and quickly installed without any assistance. This saves time and budget. Take a look at this case study.